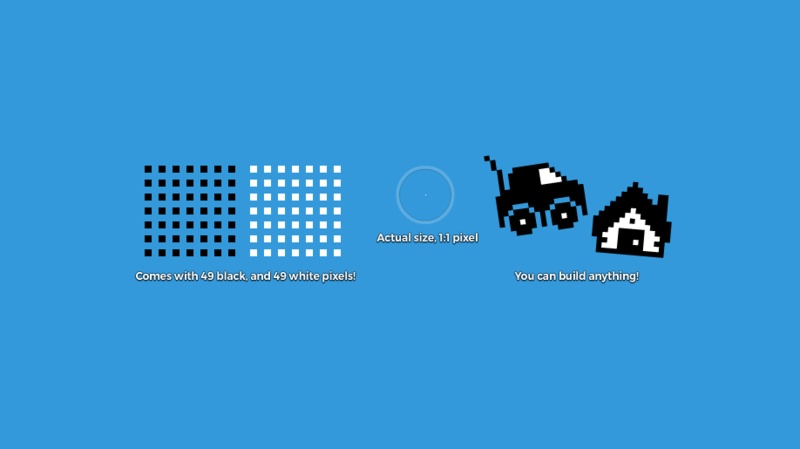 This package comes with 49 black, and 49 white pixels which you can use to build anything you desire! If you need more pixels, you simply download the package again. Will you create the next indie gaming hit?